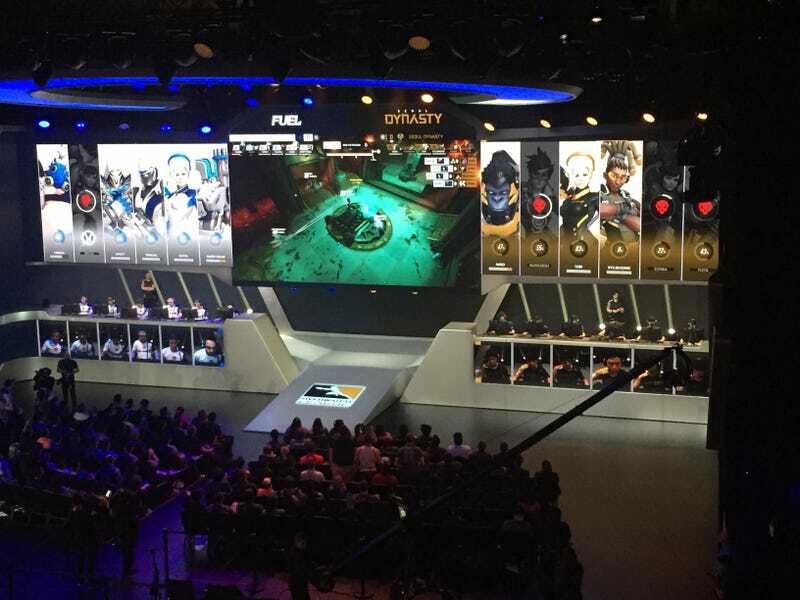 The Blizzard Arena has a slick setup for in-person Overwatch League spectators, featuring screens with the faces of all six players throughout every match, underneath larger screens of their hero lineup. You can’t get that on the Twitch stream, nor can you hear the crowd scream “USA! USA!” whenever Seoul Dynasty makes a mistake.